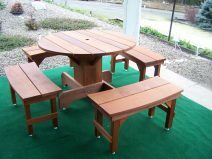 Our 44″ Square Redwood Picnic/dining table is made from beautiful rich colored Old Growth reclaimed Redwood. 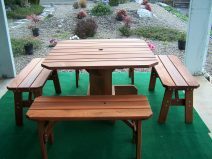 The table top and benches are made from 1 1/4″ stock all heart with a depth of color and fineness of grain unmatched by newer growth Redwood. The legs for this table are a Classic Style Cross Leg. 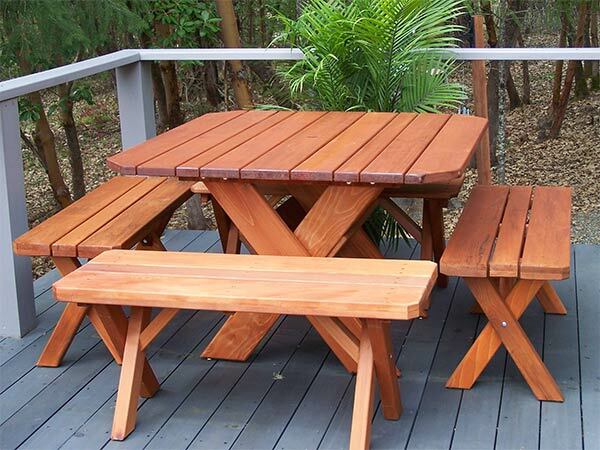 Perfect for outdoor dining and entertainment. 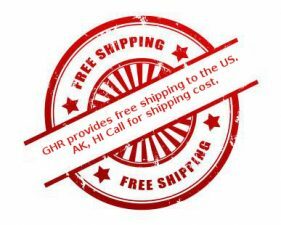 This table comes as a set with 4 benches that are 40″ long 18″ tall and 15″ wide Old Growth Redwood with Classic style legs or you can choose 4 mostly Old Growth dining Chairs. Overall demensions: 32″ tall 24″ deep and 28″ wide. 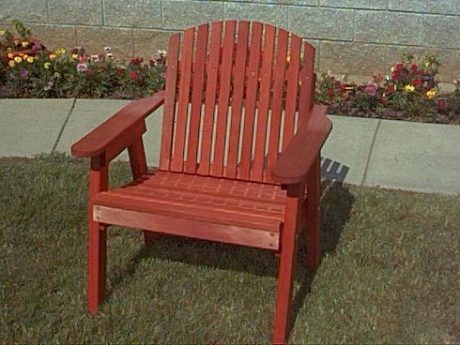 Seat is 22″ wide 17″ deep. Front of the seat is 19 1/2″ tapering back to 15 1/2″ in the back. 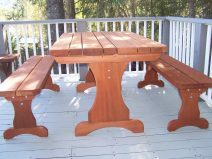 This 44″ square picnic/dining table set is a perfect addition to any deck or patio that will add beauty and comfort for your friends and family for many years to come. 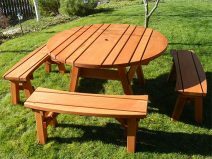 This table comes with a center hole for your patio umbrella, table is approximently 30″ tall and comes partially assembled with instructions and hardware for easy assemble.